Set on a working farm and vineyard, the rustic but elegant six-room ranch house at Beltane is dripping with antiques and local art work. 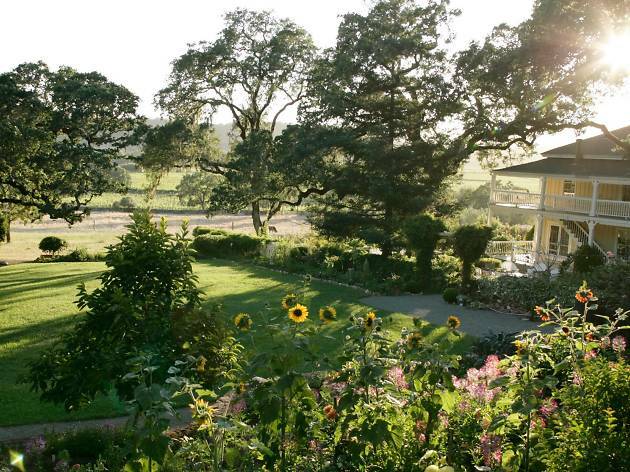 For six-generations, grapes, orchards and vegetables have been growing in this lush Sonoma setting. Get an up-close view of bucolic farm life from the property’s walking trails, play a game on the tennis court or have a picnic—Beltane will fill a basket for you. 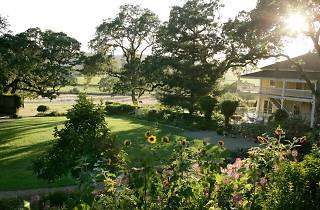 Beltane Ranch also produces their own estate grown wines and press their own olive oil from olives grown in their orchards. From Beltane Ranch’s location in Glen Ellen, you are just a stone’s throw from Loxton Cellars, Wellington Cellars and Lasseter Family Winery but if you’d like to venture further afield, the hotel can arrange transportation for you. Time Out tip: Join the Beltane Ranch wine club to receive invitations to their spectacular farm-fresh food and wine events like the late February pig roast.